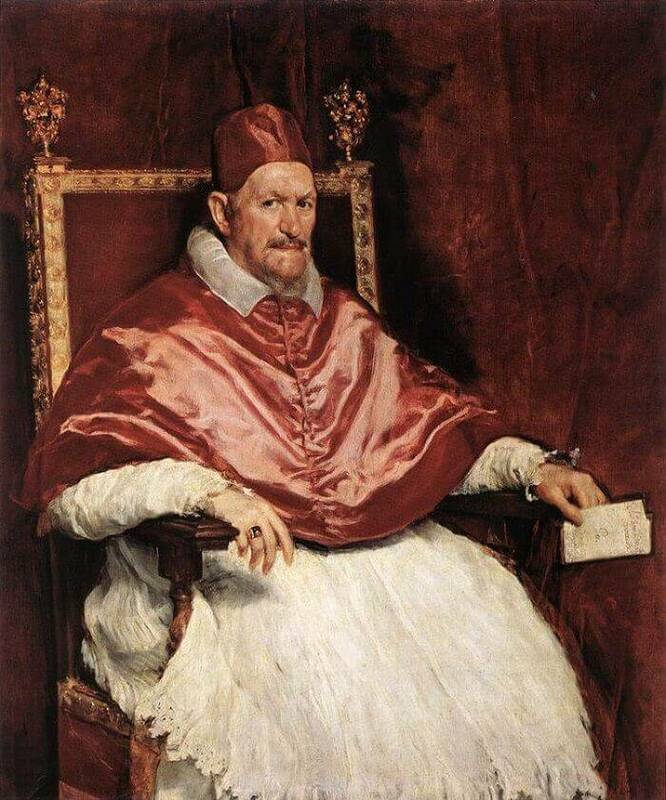 Pope Innocent X was born in 1576 and died in 1655. 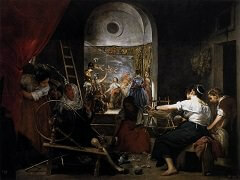 Velazquez painted this work in Rome, probably in the autumn of 1650. 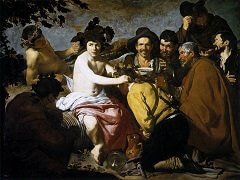 It is said that the pope was so delighted with the portrait that he exclaimed, "All too truthful!" 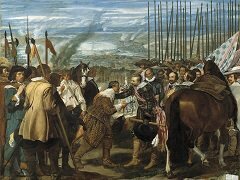 and sent a substantial sum of money to the artist which Velazquez, as an envoy and servant of the king, felt it necessary to decline. 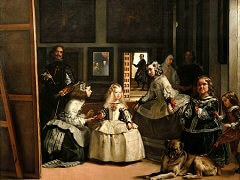 However, Velazquez did accept a gold chain and papal medallion, which are mentioned on the artist's tombstone. A comparison of this masterpiece with Titian's Pope Paul III and His Grandsons, Alessandro Cardinal Farnese and Ottavio Farnese is especially significant. 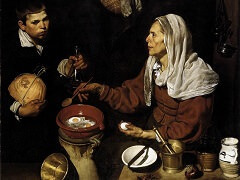 Velazquez's use of color and his sensitive touch call to mind the Venetian painting technique that is more specifically characterized as "Titianesque." Lionello Venturi once wrote that a portrait is either poetry or history. A Velazquez portrait is both at the same time, for the artist uses his initial visual impression to create a realistically modeled likeness of the sitter's face on the canvas. 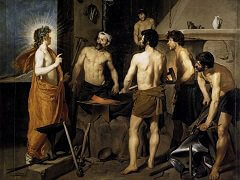 In this manner, all the humanity and truth of the subject are revealed. Indeed, Velazquez breathed new life into the art of portraiture in Spain, which, prior to him, was becoming increasingly sterile. Here, the artist exploits the pope's ruddy, rather unattractive face and his crafty expression solely for artistic ends, but in the process of this "transfiguration" he brings out the character of the subject and his benevolence. Now the psychological aspects of pictorial representation must not make us overlook the plastic qualities of such a painting. In this case, the reds - one of the most difficult colors to use in painting without vulgarity or gaudy clashes - are combined, shaded, and built up into a rarely equaled color harmony. The resulting effect is one of density, richness, and sumptuousness, as well as extreme refinement and restraint - despite the model's apparent coarseness - which makes this portrait one of the most dazzling works of art of Spain's Golden Age.